Segments are used to group your users, and deliver personalised content to them. You can segment your users based on any combination of behaviours they have performed using the Segment Builder. Once you've created your segments, you can use them in the Permutive Dashboard to target reactions. 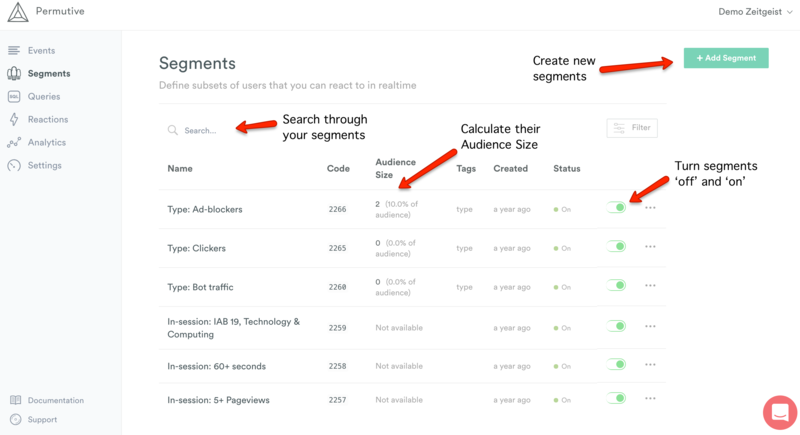 You'll find all of your segments under the 'Segments' section of the dashboard.